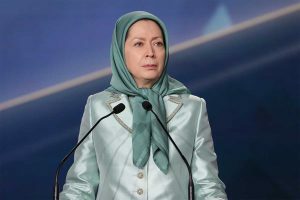 Maryam Rajavi, leader of the People’s Mujahedin of Iran (MEK), praised the resolve of the Iranian people for the sustained protests and strikes in major cities across Iran. Strikes have continued to rage in Kazeroun for the last seven days. The farmer’s protests in Isfahan are also still going strong two months into their struggle. Protests in Ahvaz and Khuzistan have also sprung up in recent weeks. Rajavi reaped praise from those protesting in Kazeroun, stating “hail to the people of Kazeroun who have a great history of supporting the great leader of Iran’s freedom movement, Dr. Mohammad Mossaddeq.” After Kazeroun citizens were arbitrarily butchered by the regime in 1988, many of the city’s citizens joined the MEK and the resistance movement to oppose the mullah’s tyrannical regime. Maryam Rajavi hailed those exercising civil disobedience in Isfahan, Kazeroun, and Ahvaz, praising those who disrupted the mullah’s Friday prayers. Those in Baneh and Piranshahr who went on strike and closed their businesses also received Maryam Rajavi’s blessings. She spoke of the plight of Iran’s Kurdish minority, forced into back-breaking work as porters for the regime. Rajavi described how they often face water shortages, are denied their rightful earnings, and endure routine discrimination at the hands of the oppressive regime. All those in Iran suffer at the hands of Rouhani, but the minorities of the Kurdish, Arab and Baluchi people face “double oppression”, according to Rajavi. The Iranian population must show their solidarity with those who are risking their freedom and lives to protest the oppressive regime. Only through continued civil disobedience and disruption will the full weight of the Iranian population be felt by the ruling mullahs. The regime is creaking under the pressure of sustained civil protest. It is intensifying its reign of terror and violence, executing political prisoners at an alarming rate, and arresting brave Iranian protestors across Kazeroun in scores. Rouhani and the mullahs are scrambling to maintain their grip on the situation. This will only add fuel to the fire. It will inspire the Iranian people to insist on the freedom of their compatriots. 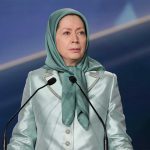 “Declare solidarity with the arisen people of the Iranian provinces” is Maryam Rajavi’s message to Iran. Keep the flame of protest alive.